Provide your customer that extra level of comfort knowing their product was monitored for quality inspection. It is a continuous analysis for standard and automation systems that requires non-contact imaging and temperature measurements. Customers worldwide are are choosing to monitor their welding process and reduce the amount of product destructive tests completed. 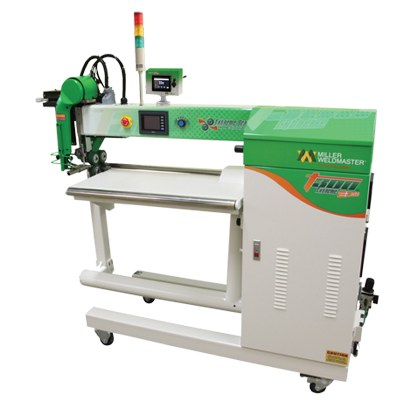 The Seamvision provides another level of measuring your seam integrity. It’s technology is used in the military and aerospace industries for Structural Inspection and now has been adapted for the industrial fabrics and technical textile industries. Miller will go above and beyond what is necessary to help us out.